While the traditional baseball business model focused on the “game”, the new in minor league baseball is centered around maximizing fan comfort and family entertainment. Although “the game” is still the vehicle for attracting patrons to the front gates, “the show” between innings on the field, during the game in the stands and on the concourses is what keeps people (especially families) coming back for more. Because of the popularity in this trend, new and renovated facilities are moving toward more compact lower density seating configurations that promote diversity in seating inventory (group, premium, semi-premium) versus the typical fixed armchair seating. In the wake of the decline of corporate participation in the form of sponsorship and long-term premium suite lease agreements we now see teams trending heavily toward multi-use flex spaces in the form of meeting rooms and banquet space that can also be configured to accommodate traditional suite functions during games. This move has enabled teams to extend facility use beyond the confines of the regular season thus also maximizing the potential for revenue which promotes economic sustainability. 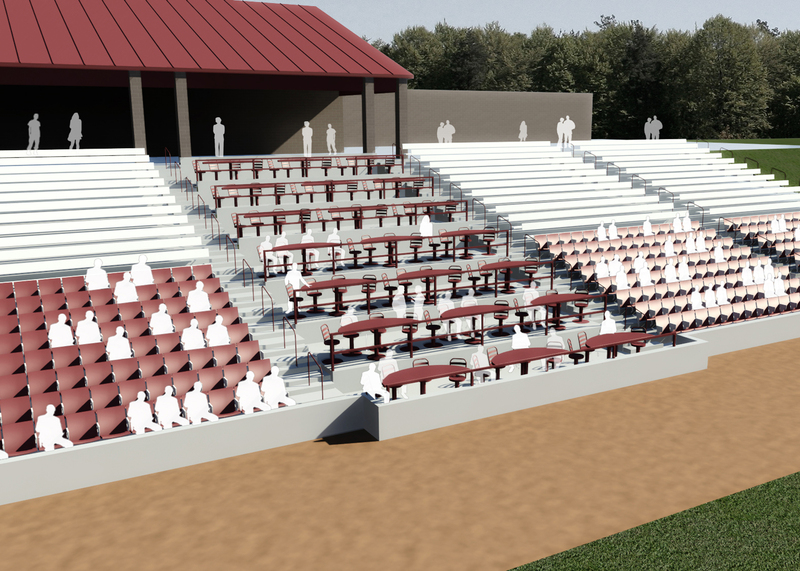 The planned improvements to Time Warner Cable Field at Fox Cities Stadium are geared toward complimenting some of the forward thinking improvements that were already completed prior to the previous season. 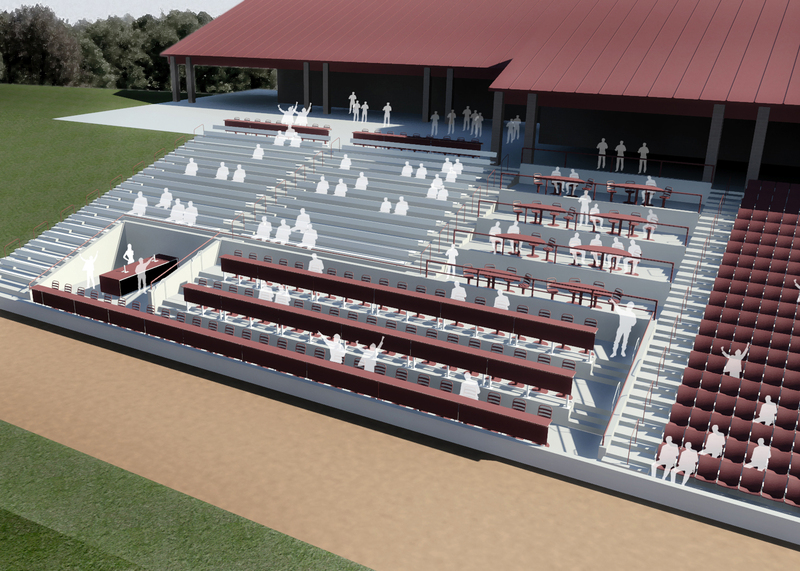 These improvements were instrumental in diversifying existing seating inventory – i.e. the first & third base bullpen premium seating shown below. 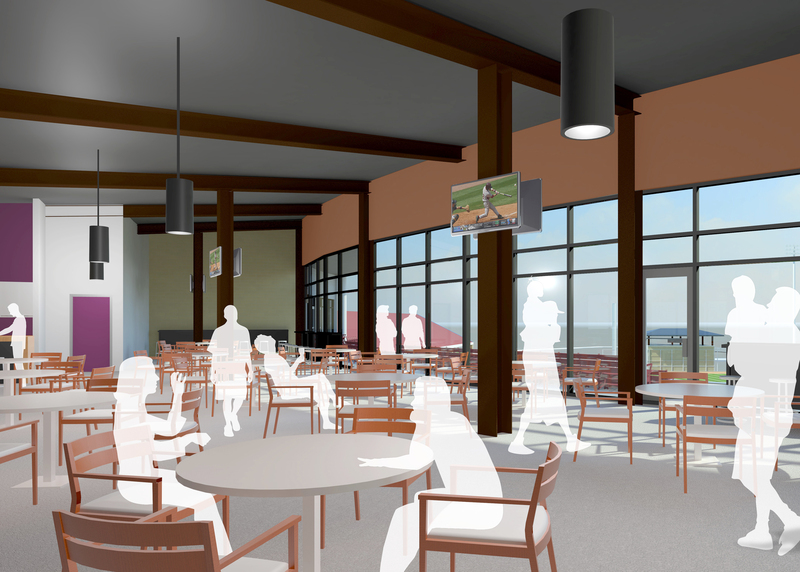 This next phase of improvements will focus on relocating enclosed premium inventory from the main concourse to a newly constructed suite/banquet level, expanding administrative, retail, food service and storage capacity while increasing the ability of the facility to accommodate year-round events. The images below illustrate the proposed look and feel of our schematic design concepts. We will continue to update this imagery as we progress toward the final design and documentation. 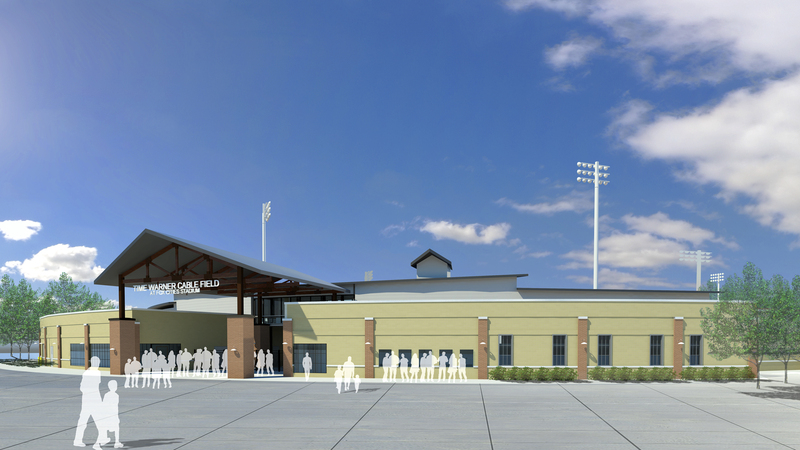 It is an honor to be working with the Timber Rattlers on this exciting project. 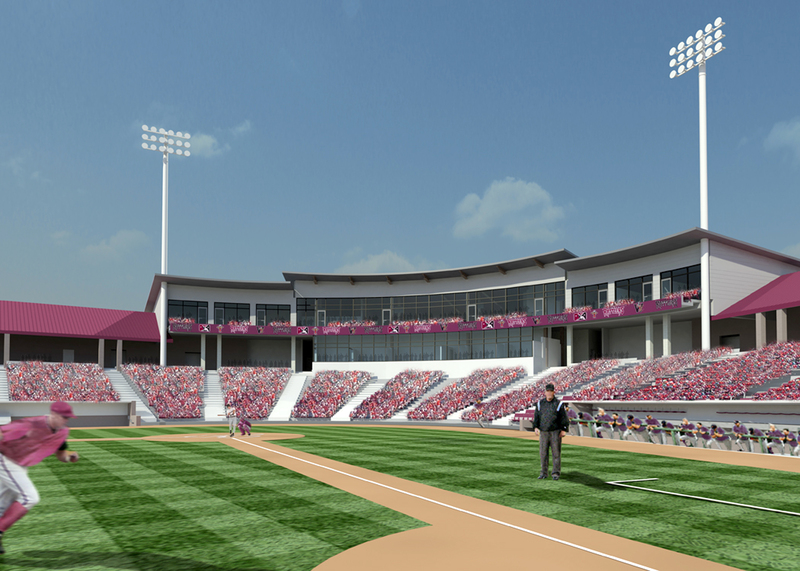 Opening day in April 2013 is going to be special.